Originally published 9/6/17. Updated 2/18/19. Central Ohio is full of weird and wonderful roadside attractions. The kind of attractions that make you pull over, grab the camera, and hop out. They range in size and scale, but they’re all uniquely Ohio. I have an affinity for the weird. I enjoy things that others may look over, but I know that I’m not the only one. I’m always curious about local art and perhaps that’s why things like quirky roadside attractions really speak to me. There are so many neat things littered throughout the state. But when I was choosing what to include on this list, I decided that I’d go for things that residents may find surprising. Before I began researching, I honestly didn’t know about 90% of these roadside attractions. When people think about things like this in Columbus or the surrounding areas, they often think of the giant cowboys with arms outstrectched, that can be found in central Ohio. Or perhaps some newer art installations like the humanoid deer that are sprinkled around downtown. But to truly experience and embrace the quirkiness that is the Buckeye State, road trippers may want to dig a little deeper. Because of that desire to explore, here are 17 weird and wonderful roadside attractions you can only find in Central Ohio. Created by a local resident, Ric Leichliter, The Flight of the Hawk sculpture has a 14-foot wingspan and sits nearly 40 feet in the air. 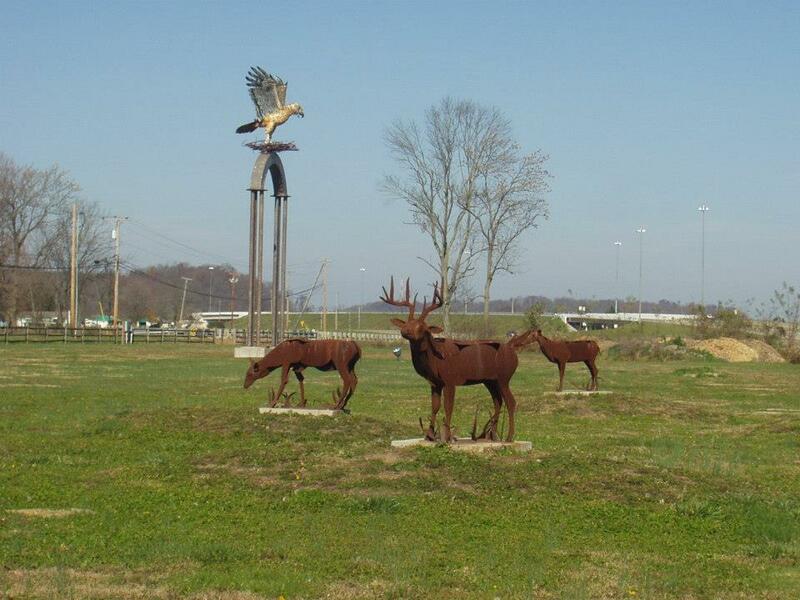 The hawk is surrounded by other sculpted wildlife. 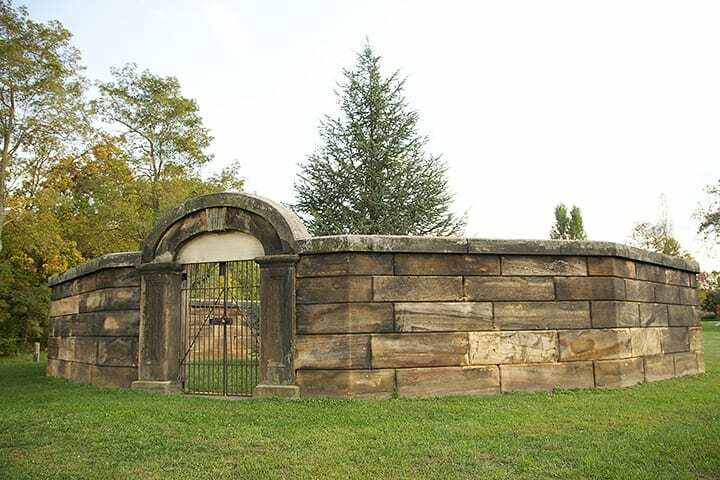 This family cemetery got its walls in 1838. The family of the builder, Nathaniel Wilson, hoped to preserve the cemetary and protect it from vandals, and in 1817, the cemetery and the land it sits on was deeded to United States President James Monroe. Since then, the cemetery has been deeded to every sitting President, earning it the local nickname “The President’s Cemetery”. 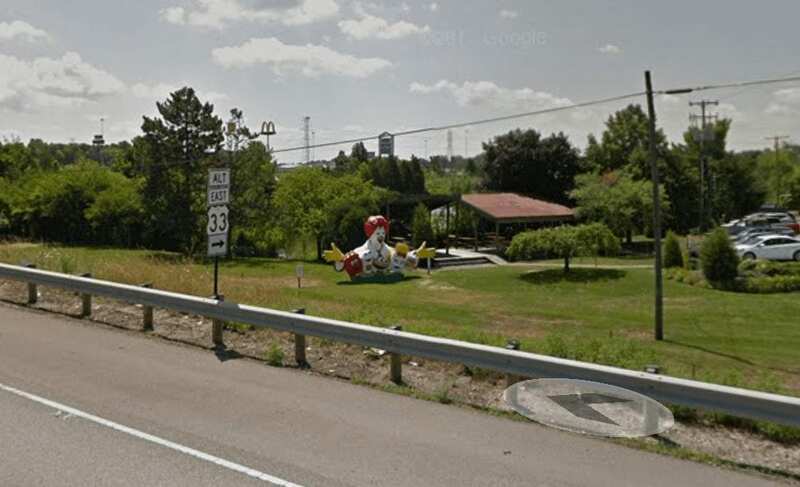 Nestled behind a McDonald’s off of US SR 36/37, Roadside junkies can find a massive sculputre of Ronald McDonald and his closest friends. It’s definitely a reminder of years gone by. 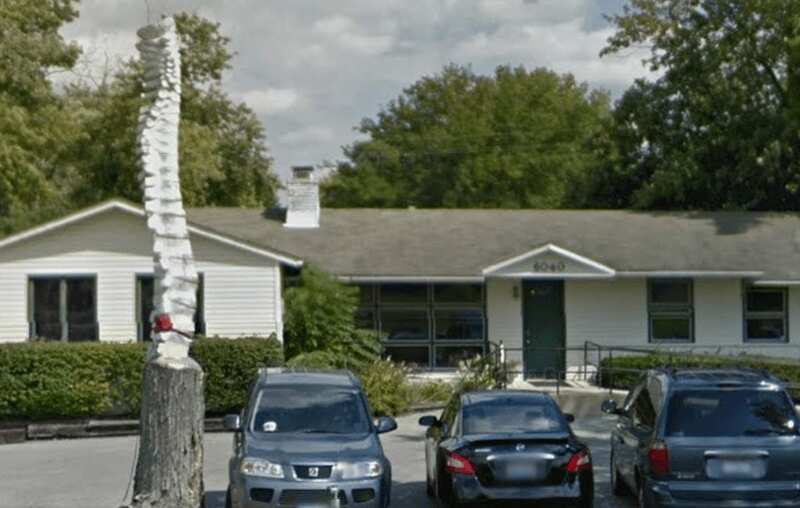 Carved out of a tree, this giant spinal column is located outside of a Chiropracter’s office in Northern Columbus. According to Roadside America, visitors may even recieve a gift. One visitor mentioned that when the doctor saw them admiring the carving, he came out and gave them a keychain version of the spine to take home for themselves! 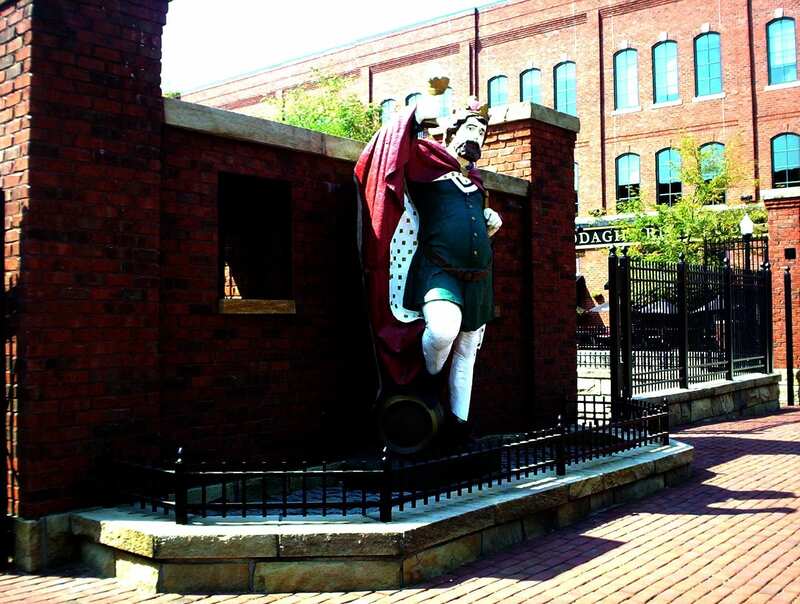 Welcoming visitors to the Brewery District is a 12-foot statue of Gambrinus, the Flemish King. Gambrinus is credited with inventing beer, but his Ohio roots are the reason behind the statue. The Gambrinus Brewery openend in Columbus in 1906 and operated until its closure in the late 1970s. The building was demolished, but Gambrinus remains. There is plenty of parking nearby, as well as restaurants and bars. Located inside of Pins Mechanical Co. (141 N 4th St.) is the World’s Largest Ping Pong Paddle. At 11 and a half feet long, the paddle hangs on a wall inside the bar, prominently displayed for visitors. 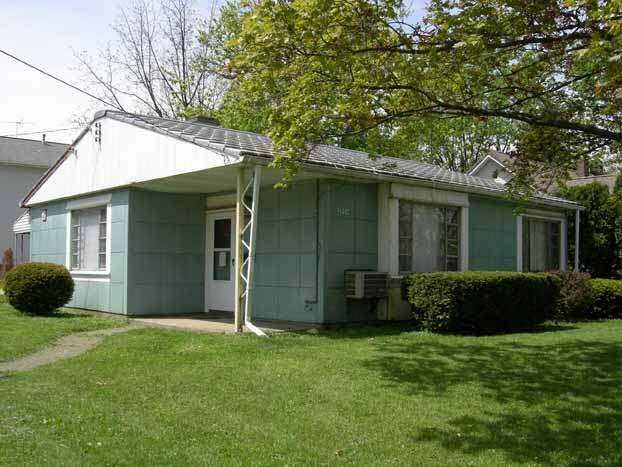 Originally built after World War II, Lustron homes were meant to be the homes of the future. They were constructed in response to veterans returning home who were looking for durable, affordable homes. The home make look familiar to video game fans, as the homes in the popular game, Fallout 4, are based off of Lustron homes. The homes were manufactured here in Columbus, and fewer than 2,000 remain throughout the United States. Located outside of the LL Bean store at Easton Town Center, visitors will find a massive, larger than life version of the company’s signature boot. This isn’t exactly the type of cornfield one would expect to find in Ohio. Comissioned in 1994, this field of art was designed by artist Malcolm Cochran to commemorate Sam Frantz, an influential farmer from Dublin, OH. 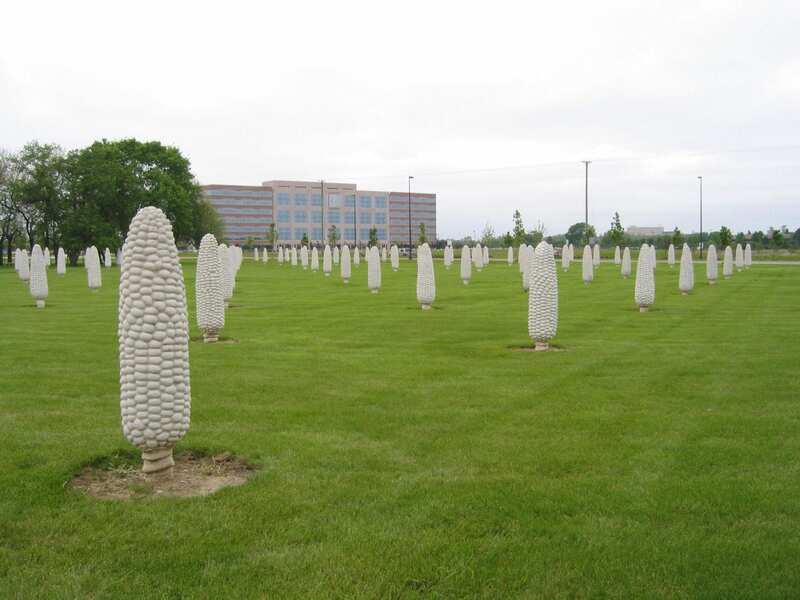 The field is dotted with 109 six-foot-tall corn sculptures. Each individual ear of corn weighs approximately 1500 lbs. 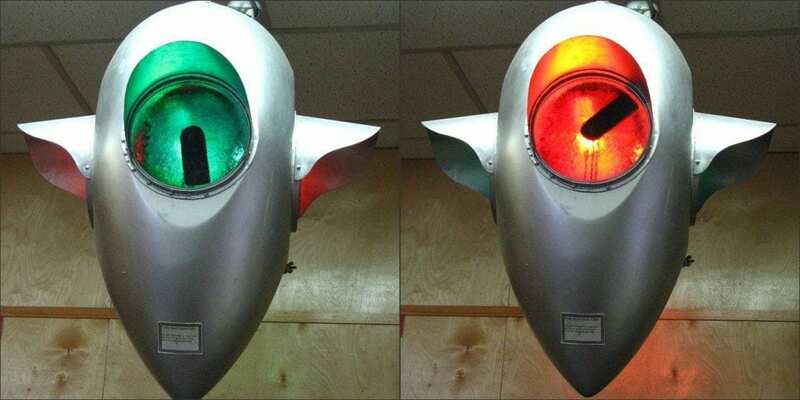 The first electric traffic light was invented in 1912. But here in Ohio, the village of Ashville claimes to own the oldest working traffic light in the world. The light, which directed traffice in downtown Ashville from 1932 until 1982, now sits in Ohio’s Small Town Musuem, which is worth a visit on its own! Central Ohio isn’t exactly known for its massive trees. But in Galena, OH, visitors will find what is claimed to be the Largest Cottonwood Tree east of the Mississippi river. 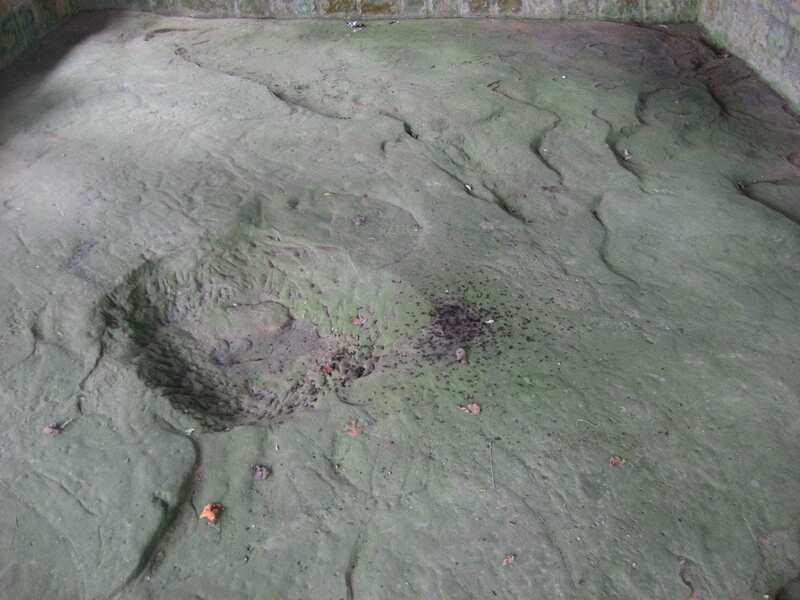 Some have estimated its circumference to be nearly 30 feet across. The tree is located just off the roadside, across from Sticky Finger’s Ice Cream Parlor. This one definitely fits the “weird” description I mentioned above. Unveiled in 1926, this granite marker notates the birthplace of United States President Rutherford B. Hayes. His birthplace was (sadly) torn down the same year the marker was put into place. In true Ohio fashion, the property was replaced by a BP Gas Station. This one is easy to get to, with plenty of parking availble at the gas station. 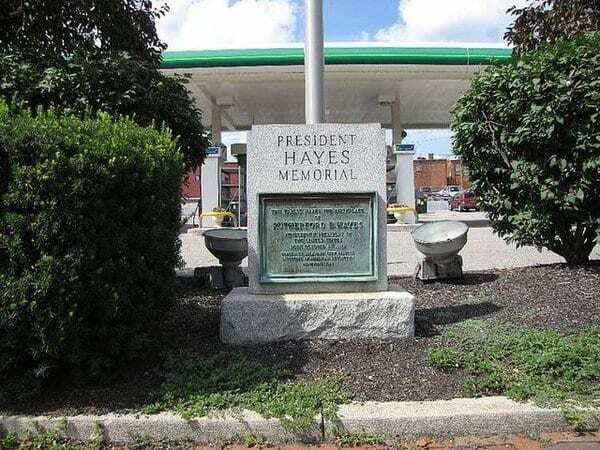 It’s not as regal as some birthplace memorials for other US presidents, but it is quintessentially Ohio. Out with the old, and in with the new. Television has become an integral part of society. But it wasn’t always that way. Take a step back through time at the Early Television Museum in Hilliard. The museum features television sets from Britan and America, both pre-war (1945) and post-war models. The museum is somewhat ineractive and guests can turn the televsions on and off. 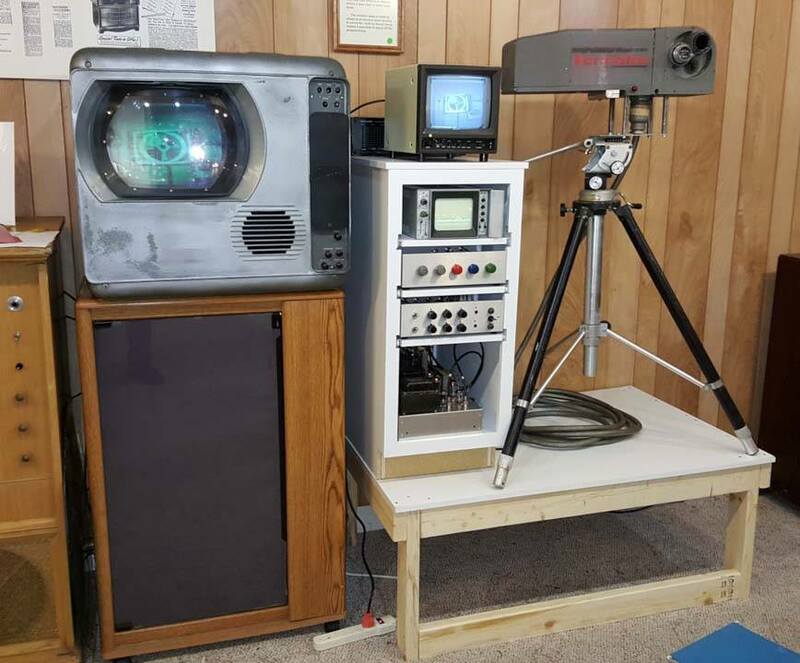 There is also a camera set up, which means you can see exactly what you would have looked like on television in the 1930s! 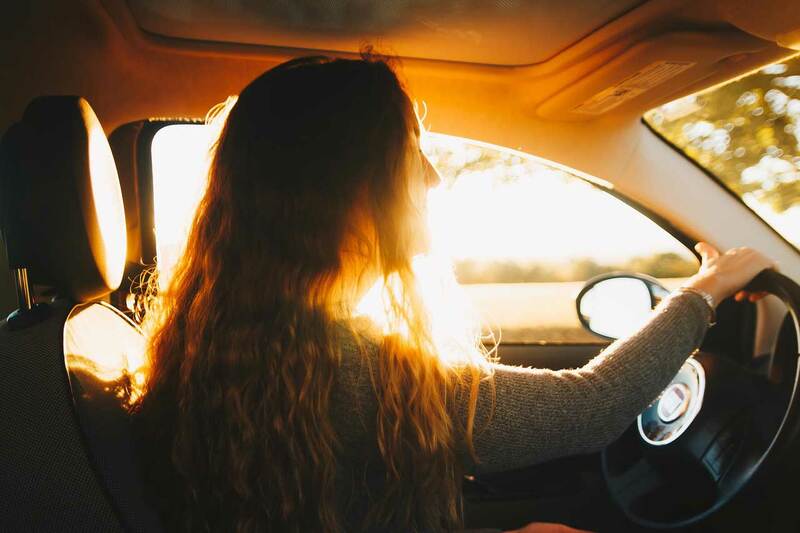 If you’re a fan of our ancient cultures here in Ohio, then you’ll want to add the Leo Petroglyphs to your next roadtrip. The petroglyhps are carvings in sandstone depicting both humans and animals. The drawings are found on on cliffs that are between 20 and 60 feet high. They are attributed to the Fort Ancient peoples, and are believed to be between 500 and 1,000 years old. 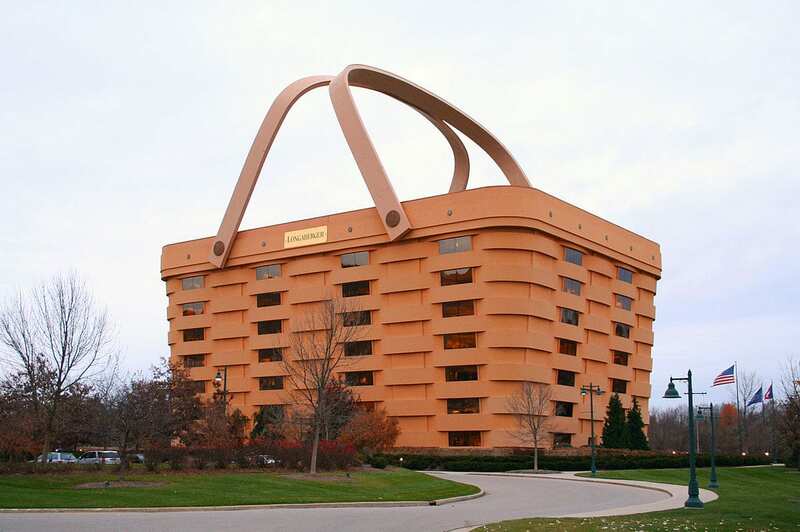 Formerly the headquarters for the Longaberger Basket Company, this unique office building is shaped like a giant basket. Although the building has been vacant for a couple of years, it’s still an iconic attraction in Newark. It may not be the sword from Arthurian legend, but it’s still the perfect Instagram opportunity. 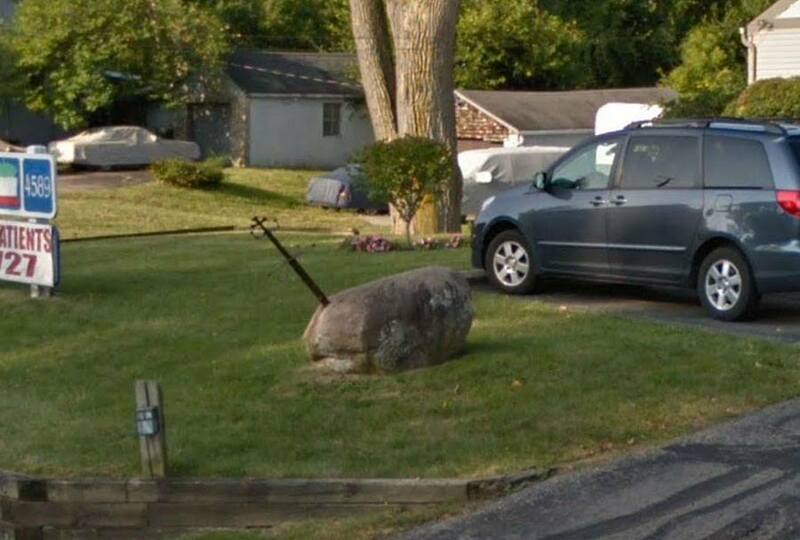 Located outside of Dr. Robert Garrison’s Dental Office, you’ll find a rusted sword firmly lodged in a massive boulder. Go and give it a pull, you never know… You may be the king (or queen) of legend! Completed in 1998, this public art installation was designed by artist Todd Slaughter. The structure is built out of several materials, representative of different time periods in Dublin, Ohio’s past and present, including stone, copper, bronze, and stucco. It’s time to hit the road, Columbus!